Covering 2.5 million square kilometers, Tibet is almost the size of Western Europe, with countless natural and cultural attractions dotted all over the region. Most travellers won’t be able to see them all in a single trip. 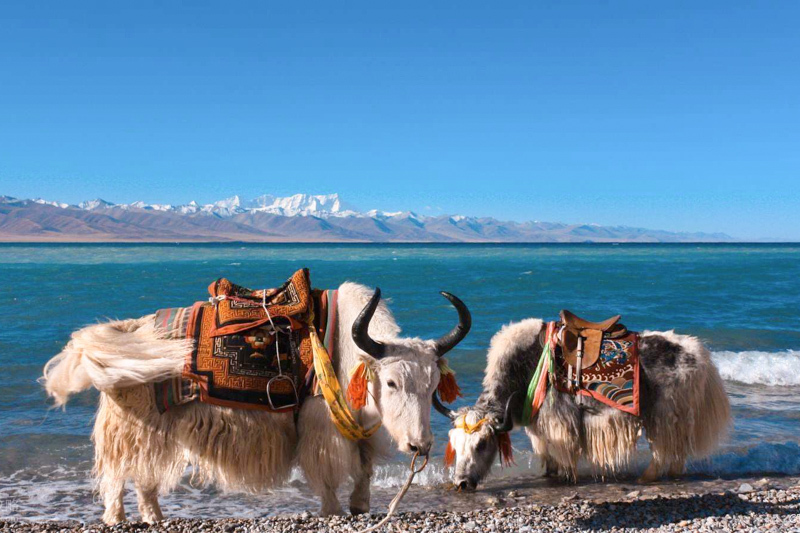 Here Tibet Travel Expert Of Tibet Ctrip Service Team list you the most-liked top 10 attractions of Tibet. Hope this insider tip can help you narrow down your choice, and plan a perfect itinerary for your adventure in Tibet. Mount Kailash (6714m), situated at Ngari, western Tibet, and is the sacred mountain of four religions: Bön, Buddhism, Hinduism and Jainism. Mt Kailash dominates the area with its four-sided summit. Its northern peak, with its black granite face, is the most beautiful among all. The pious believe that the gods reside at the top of Mt Kailash. 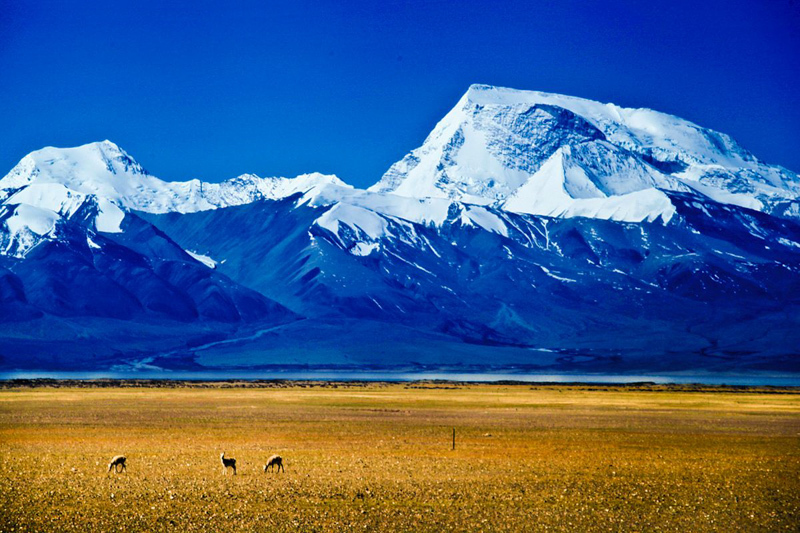 Situated at the centre of the area, Mt Kailash is the key to the drainage system of Tibetan plateau. Four of the great rivers of the Indian subcontinent originate here: Karnali, which feeds into the Ganges (south); Indus (north); Sutlej (west); and Brahmaputra (aka. Yarlung Tsangpo, east). Every year many Tibetan and Indian pilgrims come here to circumambulate Mt Kailash. Many people call this act Mt Kailash Kora or Mt Kailash Yatra, which usually takes about 3 days for its 52km path. The pilgrims believe that one kora around Mt Kailash erase your sins. In addition, if you do 108 koras, you break the cycle of rebirth and assure one of nirvana at death. Lake Manasarovar (4560m) is not far from Mt Kailash, taking no more than 1 hour of driving. In Tibetan language, Lake Manasarovar means ‘Victorious Lake’ and is reverend a sacred lake in four religions: Hinduism, Bön, Buddhism and Jainism. Lake Manasarovar covers 412 square kilometers with its sapphire-blue waters, sandy shoreline and snow mountain backdrop. It reflects the most lucid shades of blue imaginable. Lake Manasarovar also represents the female or wisdom aspect of enlightenment and is a symbol of good fortune and fertility. The legendary Guge Kingdom was an ancient kingdom in Ngari Prefecture (Western Tibet). The ancient Guge Kingdom thrived in present-day Zanda County for over 700 years. It was an important stop on the trade route between India and Tibet. By the 10th century, Guge Kingdom was a wealthy centre supporting several thousand people, and held sway over a vast area including south-eastern Zanskar, Upper Kinnaur district, and Spiti Valley, either by conquest or as tributaries. The ruins of the former capital of Guge kingdom are located at Tsaparang in the Sutlej Valley. Guge kingdom survived for approximately 700 years before it mysteriously disappeared. However, the kingdom’s glorious past is still visible today. The ruins extend around the sides of a mountain probably more than 300m high, with more than 400 rooms, some fortresses, pagodas and 800 caves, etc. How such a huge kingdom disappeared overnight is still a mystery to us. 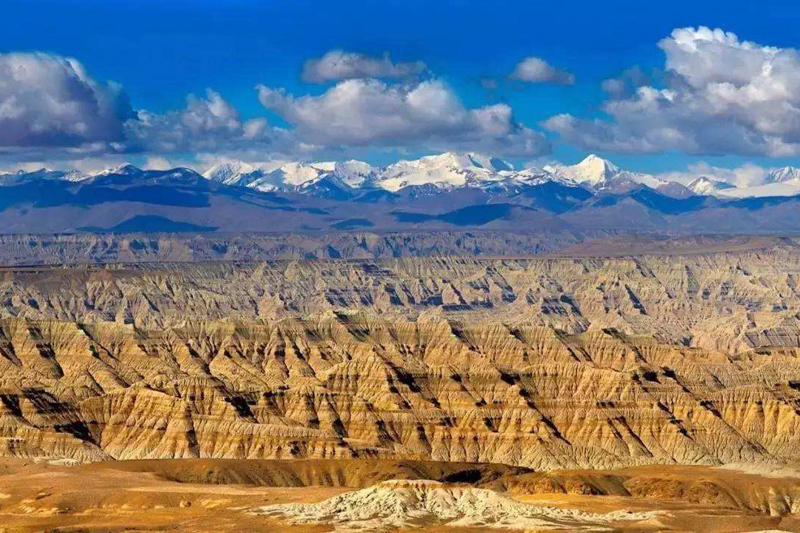 At 21km west of Zanda in Ngari Prefecture (Western Tibet), Tsaparang was the capital of the ancient kingdom of Guge, which has been falling into ruin since its slide from prominence in the 17th century. The ruins of Tsaparang climb up the ridges through three distinct areas, containing numerous tunnels and caves that have been carved out of the rock. At the bottom of the hill is the monastic area with the four buildings and their murals. The middle one is the former residential quarters of monks, Lhakhang Marpo (Red Chapel) and Lhakhang Karpo (White Chapel). At the top is the palace citadel, where you bird-view Sutlej Valley spreading out below. Tholing Monastery is located in the remote badlands of far western Tibet in Zanda County, about 19km east of Tsaparang. Founded by the second King of the Guge Kingdom in 997AD, Tholing Monastery was once Ngari’s most important monastic complex. Tholing means ‘hovering in the sky forever’ in Tibetan language, and it is reflected by the location of the monastery — at an elevation of 3800m, Tholing Monastery perches on an escarpment in the Grand Canyon along Langchen Tsangpo. Reaching 8,848 meters above sea level, Mount Everest, known in Tibetan as Qomolungma, is the highest mountain on earth. Located in the Mahalangur section of the Himalayas, the mountain’s summit straddles the border separating China and Nepal. In 1865, Mt Everest was given its official English name by the Royal Geographical Society. Later, Everest’s Tibetan face became the Qomolangma Nature Preserve. Everest Base Camp (5150m) is one of the most popular sites of Tibet, offering the chance to gaze on the magnificent north face of Mt Everest, unobscured by other mountains. Yamdrotso Lake (4441m) is one of the three holy lakes of Tibet (other two are Namtso and Manasarovar), and lies to the south of Yarlong Tsangpo River in the Shannan Region. Yamdrotso Lake is 130km long and 70km wide, shaped like a coiling scorpion. Its average depth is about 20-40 meters, and 60 meters at the deepest. From Lhasa, you will first see Yamdrotso Lake at the summit of Kamba-la (4700m), in a fabulous shade of deep turquoise with the huge massif of Mt Nojin Kangtsang (7191m) in the distance. Yamdrotso Lake lies several hundred meters below the road. Legend has it that Yamdrotso Lake is the female Guardian of Buddhism and home to wrathful deities. Devout Tibetan pilgrims circumambulate Yamdrotso Lake in around seven days. Pelkor Chode Monastery, also spelt as Palcho Monastery, is located in in Nyangchu River Valley in Gyantse. 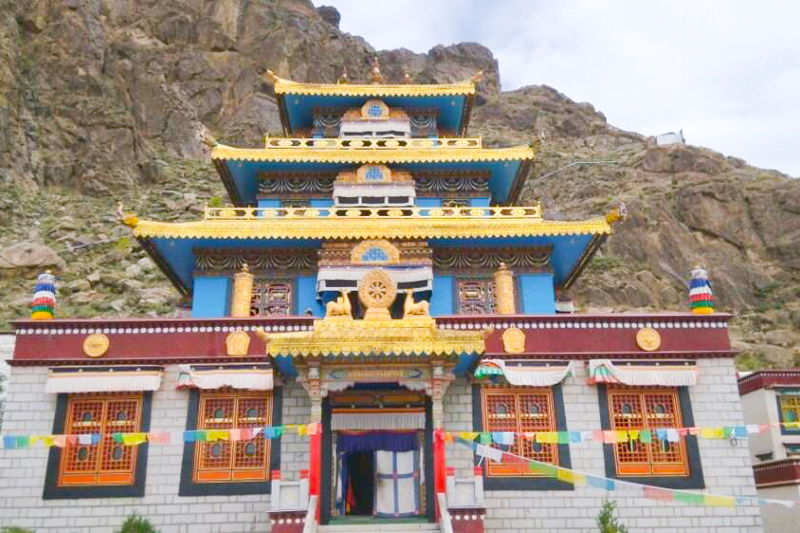 The earliest history of Penchor Chode Monastery dates back to the ninth century. Architecturally, Pelkhor Monastery is a fusion of Han, Tibetan and Nepali architecture. The most striking architecture in the complex, a symbol of Gyantse, is its Gyantse Kumbum. 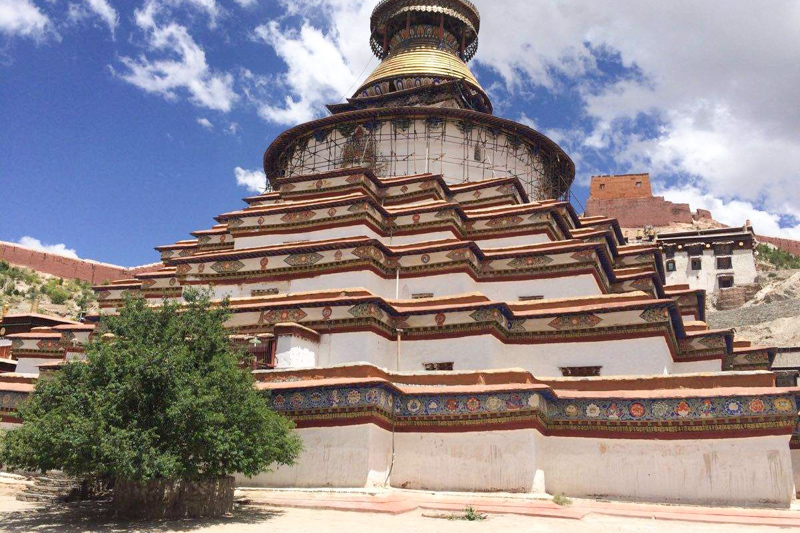 This 35m-high chorten, with its white layers trimmed with decorative stripes and its crown-like golden dome, is considered as the most important of its kind in Tibet. Gyantse Kumbum has nine-tier with 108 gates and 76 chapels and shrines. It has enshrined about ten thousand figures of Buddha images and murals. Therefore, it also receives the name “the Ten Thousand Buddha Pagodas”. Dorje Drak Monastery (3550m), on the northern bank of the Yarlung Tsangpo, is one of the two most important monasteries in Ü of Tibet (the other one is Mindroling Monastery). Dorje Drak Monastery was moved to the current location in 1632 by the kings in Tsang. It was remotely located, consequently gets few foreign travellers. Ganden Monastery, situated in Dagze county, about 50km northeast of Lhasa, making it an ideal day excursion outside of Lhasa. About 3 times as large as Potala Palace, Ganden means ‘joyous’ in Tibetan, with stupendous views of the surrounding Kyi-chu Valley.Ganden Monastery was the first Gelugpa monastery and has been the main seat of this major Buddhist order ever since. 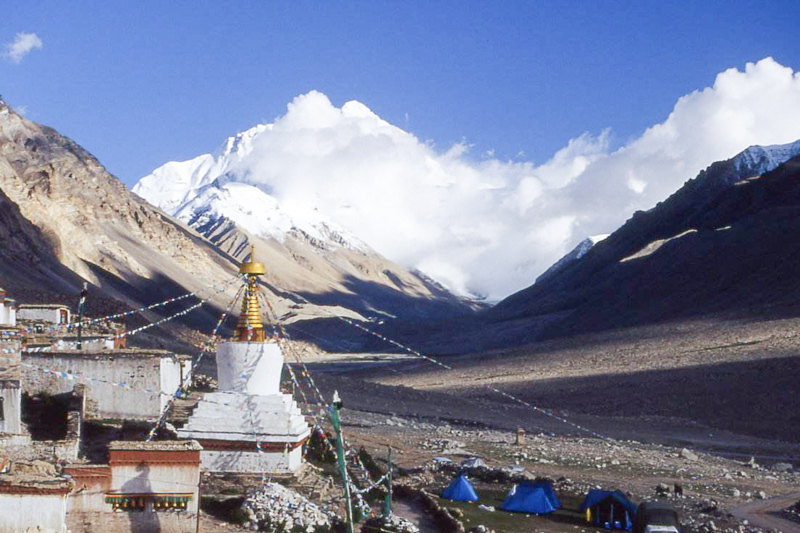 Drak Yerpa Hermitage is about 16km northeast of Lhasa, and make a fulfilling day excursion with Ganden Monastery. With meditation caves on a hill, Dark Yerpa is a peaceful site offering lovely views. As you ascend from the parking lot, take the left branch of the stairway to visit the caves in clockwise fashion. Many famous Tibetans had meditated here, such as Guru Rinpoche, Atisha, King Songtsen Gampo and his Tibetan wife. Norbulingka, the summer palace of the successive Dalai Lamas, is a beautiful park in the western part of Lhasa city. 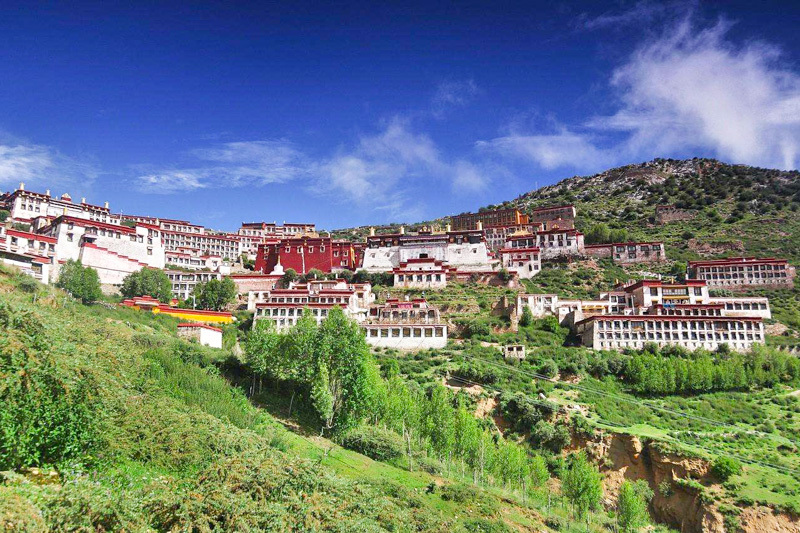 It is a UNESCO World Heritage Site, built by the 7th Dalai Lama from 1755. 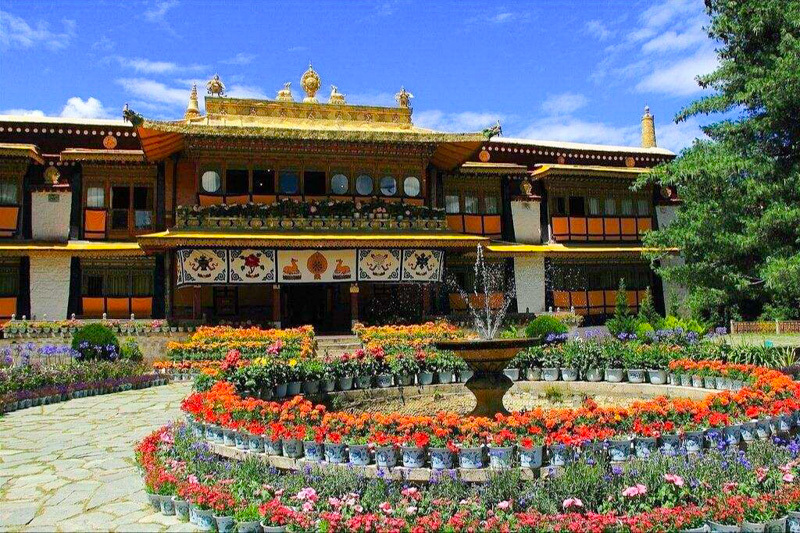 The name Norbulingka means ‘the jeweled park’ in Tibetan, also the biggest man-made garden in Tibet. During important Tibetan festivals, such as Shoton Festival, local Tibetans come here to dance, sing and have picnic with family and friends. etc. Sera Monastery makes a well-balanced Lhasa City Day Trip with Norbulingka between religion and culture. The monastery is at the foot of Tatipu Hill, in the north of Lhasa City. It is one of the Lhasa’s two great Gelupa monasteries, second only to Drepung. Sera means wild roses in bloom in Tibetan. One of the highlight of visiting Sera Monastery is watching the monks debating in a courtyard here. As part of their study, the monks hold debates to improve their understanding of Buddhism. It’s a sight of fascination even though you don’t understand a word of what are they debating about. 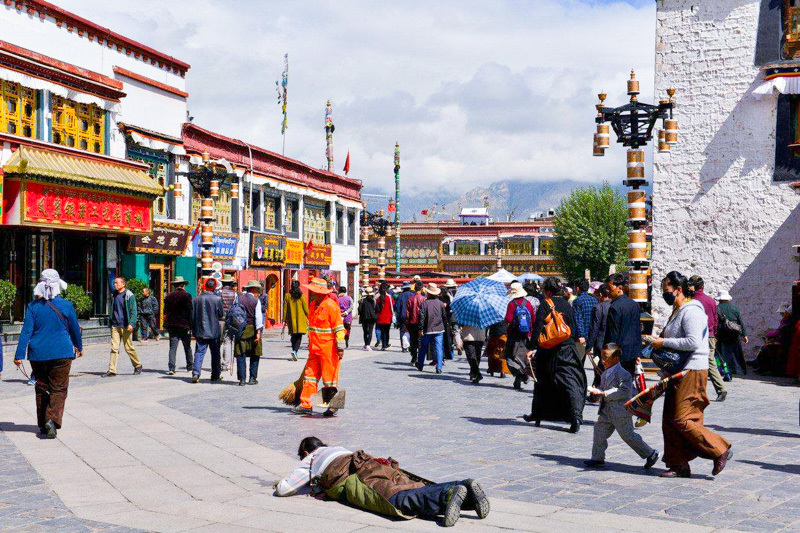 Jokhang Temple is the most sacred and important temple in Tibet, situated in Barkhor Square of Lhasa Old Town, spreading over an area of 25,000 square meters with its shining golden roof. The founding of Jokhang Temple is estimated to be ranging from 639 to 647 AD. The construction of Jokhang was initiated by King Songtsen Gampo to house the precious Buddhism images brought to Tibet by his wives from Nepal and China, as part of their dowries. Over the centuries, Jokhang Temple has undergone many renovations, but its basic layout is ancient and Nepal influenced. The most significance difference comparing to other monasteries in Tibet is that Jokhang Temple’s east-west orientation, facing towards Nepal to honour Princess Bhrikuti. Outside of Jokhang Temple, the surrounding area called Barkhor, including narrow streets and a public square. Barkhor is both the spiritual heart of the holy city and the main commercial district for Tibetans – a fascinating combination! It’s a good place to interact with local people, rubbing shoulders with Tibetan pilgrims walking the Barkhor kora. Vendors selling all kinds of stuffs here, Traditional clothes, Tibetan handcrafts, Tibetan medicines, jewelries (fake and real), and Tibetan thangka studios, etc. You have plenty of things to do in this area. If you want to relax, there are also many lovely tea-houses, cafes, and yogurt houses nearby. Stately, tremendous in its grandeur, Potala Palace sits on the 130m-high Marpo Ri (Red Hill) in the centre of Lhasa city with a powerful awe-inspiring presence. The fortress like Potala Palace is a structure of massive proportions — 400 meters east-west and 350 meters north-south. Its stone walls are about 3m-thick averagely, and 5m-thick at the base with copper poured into the foundations to help proof it against earthquakes. 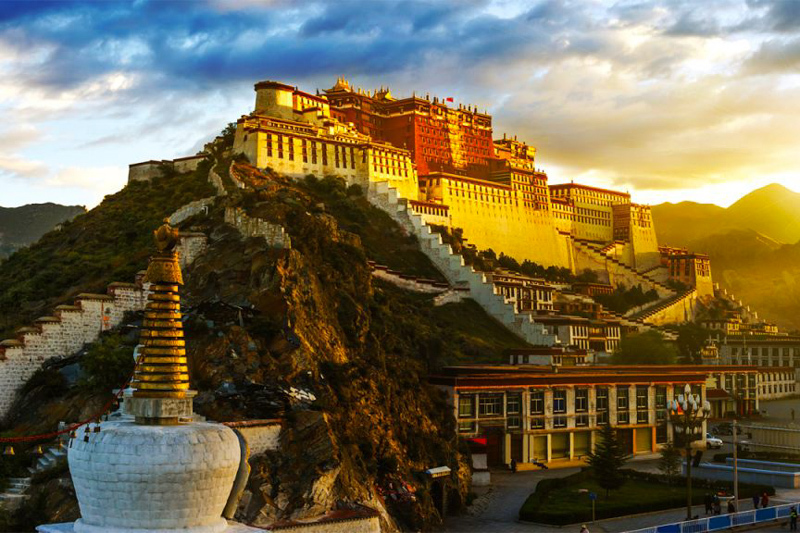 Potala Palace is a masterpiece of classical Tibetan architecture and became a UNESCO world heritage site in 1994. Potala Palace has 13 stories containing over 1,000 rooms, 10,000 shrines and about 200,000 statues.